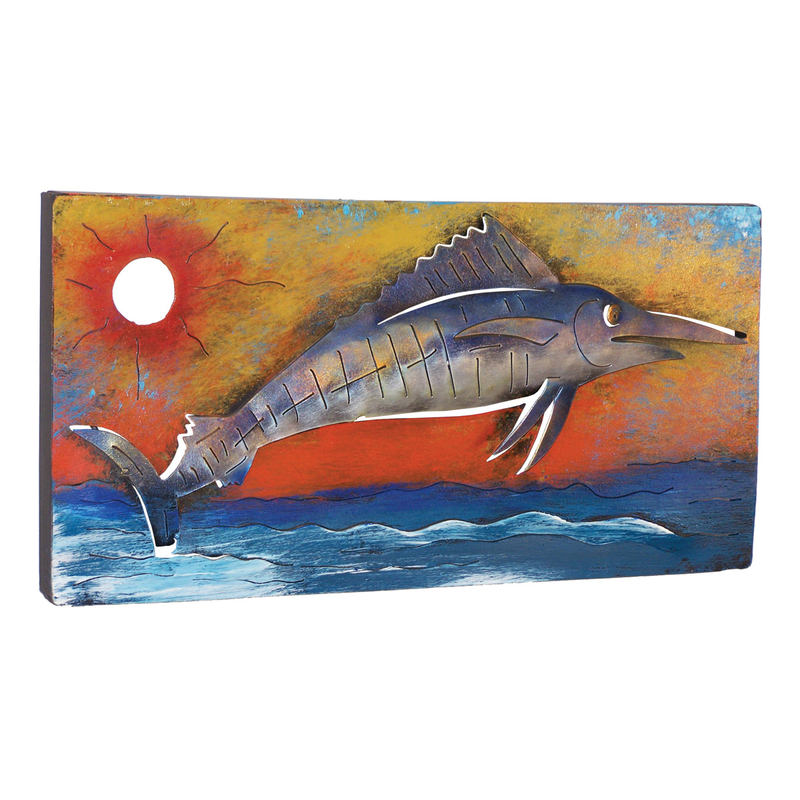 Add style to your walls with the Colorful Marlin Metal Wall Art. This beach wall art is designed with a marlin jumping through waves at sunset, created in metal with dimensional and cutout details to complement your seaside decor. For even more products, we invite you to take some time to review our whole inventory of beach wall art at Bella Coastal Decor now.